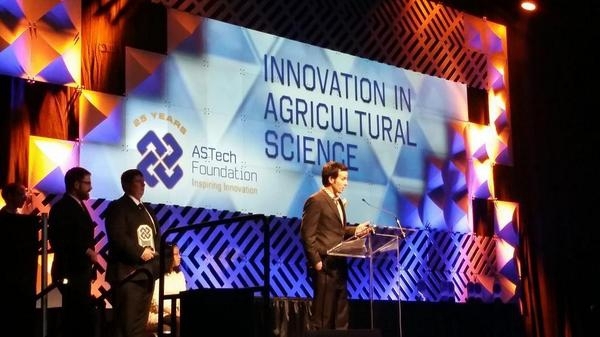 Decisive Farming was honoured to receive the 2014 ASTech award for Innovation in Agricultural Science, which was presented at the 25th Annual ASTech award gala, held in Edmonton AB on October 24 2014. The Company won this prestigious award for its achievements in Farm Management Software and Variable Rate Technology. Innovative technology such as Decisive Farming’s My Farm Manager software is making farming more efficient and profitable. “We are increasing agricultural production while minimizing the environmental impact, and this is especially important in our current time of population growth and environmental fragility” stated Schmaltz. Decisive Farming attributed their success to the strong support they have received from the National Research Council of Canada, AVAC, Tecterra and its customers over the past three years.